Curtains came down on a week-long coaching course which targeted sports teachers and coaches drawn from various primary schools and grass-root women teams in the Coast Region. The participants were taken through basic coaching, as well as the Laws of the Game under the tutelage of FKF Lead Instructor Twahir Muhiddin. They were thereafter certified by Football Kenya Federation’s Technical Department. FKF President Nick Mwendwa, while gracing the closing ceremony at the Royal Court Hotel in Mombasa, emphasized the Federation’s commitment to women football development. “We have consistently invested a big chunk of the funding we get from FIFA in women football. 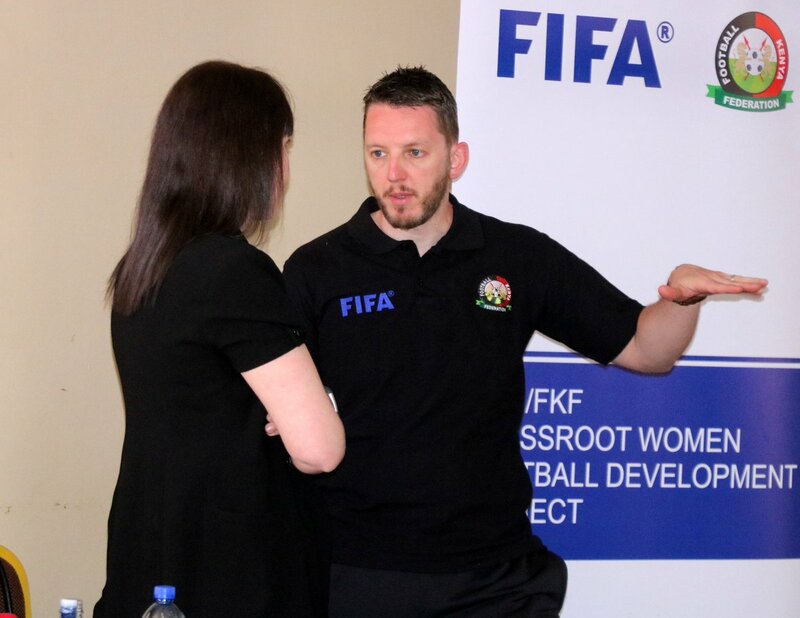 This is what inspired FIFA to pilot their project in Kenya and it is our belief that more women are now realizing positives from football,” said FKF President Nick Mwendwa. The course was the first action plan of a pilot project where FIFA aims to impact over 60 million women by 2026. Kenya will thus be the first African nation to benefit from close to KES 100 Million in funding from the World Governing body. Kisumu and Nairobi will host two more coaching courses, with a referees training also lined up in Meru later in December.